Neoclassicism is a sub genre of contemporary music that can evoke countless emotions and produce styles too numerous to quantify. Since there is no such thing as bad classical music, how on earth can you go wrong with classical music that is offered for free? 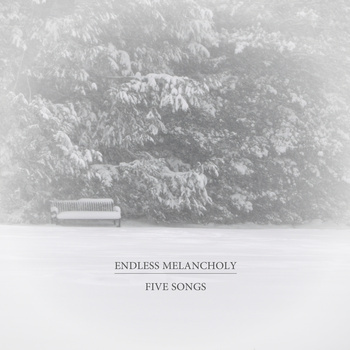 Endless Melancholy, otherwise known as Oleksii Sakevych, records minimalist neoclassical piano music that borrows some low-key elements of ambient and rolls it together into one tight package. This is gorgeous music to be sure. Even more impressive is the fact that Sakevych is completely self-taught. Hailing all the way from Kiev, Ukraine, his music is only readily available through his bandcamp page. He is generous enough to offer all of his recordings as name-your-price downloads. By listening to his heartfelt piano solos, it is apparent that Endless Melancholy is an artist who makes music solely for the love of music and with little regard for possible fame and wealth. All five of the pieces on his new self-released EP, aptly titled "Five Songs" are down tempo minimal piano pieces with light ambient reverb that both preserves melody and encourages contemplation. Traversing from dark, sad melodies to more upbeat textures, this music manages to hit right where Endless Melancholy was aiming for. Even if you are not a casual easy-listening and classical fan, you can't help but admire this man's unshakable grasp minimalist neoclassical composition.